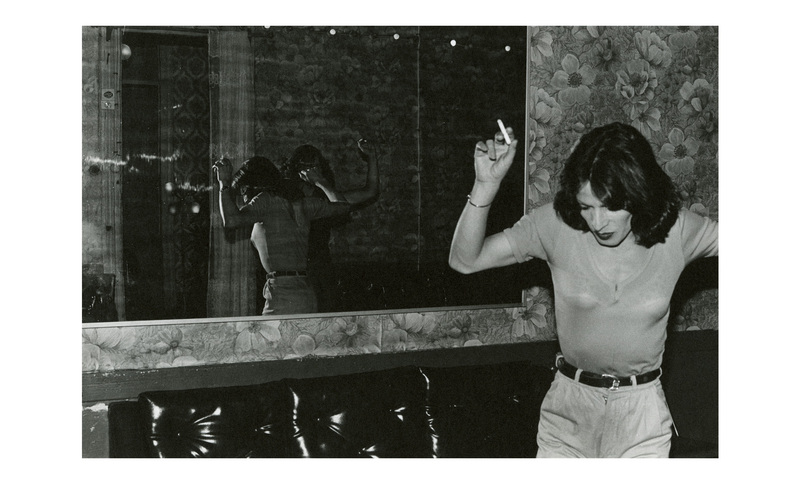 In La manzana de Adán, photographer Paz Errázuriz and journalist Claudia Donoso collaborated on portraits of a group of transsexuals, gay men, and prostitutes with whom they had made friendships in an area subject to constant surveillance by the authorities of the Pinochet regime. Born in 1944 in Santiago, Chile. Lives in Santiago de Chile. After studying at the Cambridge Institute of Education in England in 1966 and at the Universidad Católica de Chile, Paz Errázuriz began to train herself in the discipline of photography. She would perfect her skills at the International Center of Photography in New York in 1993. Her professional and artistic career began in the 1980s. Given her interest in social issues, her black-and-white photographs have mainly been documentary in nature. She co-founded the Asociación de Fotógrafos Independientes (AFI) and contributed to the magazine Apsi and to various news services. She has received grants from the Guggenheim Foundation (1986), the Fulbright Program (1992), and Fondart (1994 and 2009). Among many exhibitions of her work, Los nómadas del mar was presented in Chile, Australia, and Japan in 1996. In 2010, she exhibited at the Museo de Arte Moderno in Santiago (La luz que me ciega).